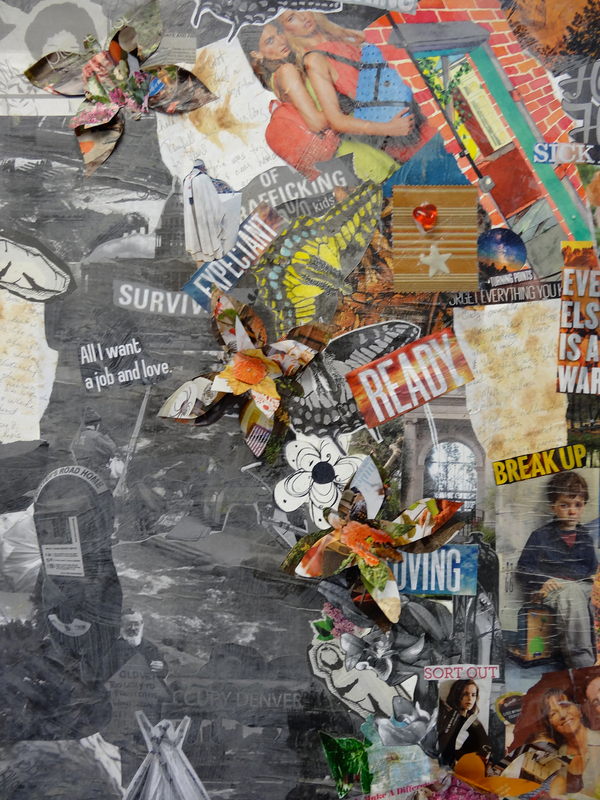 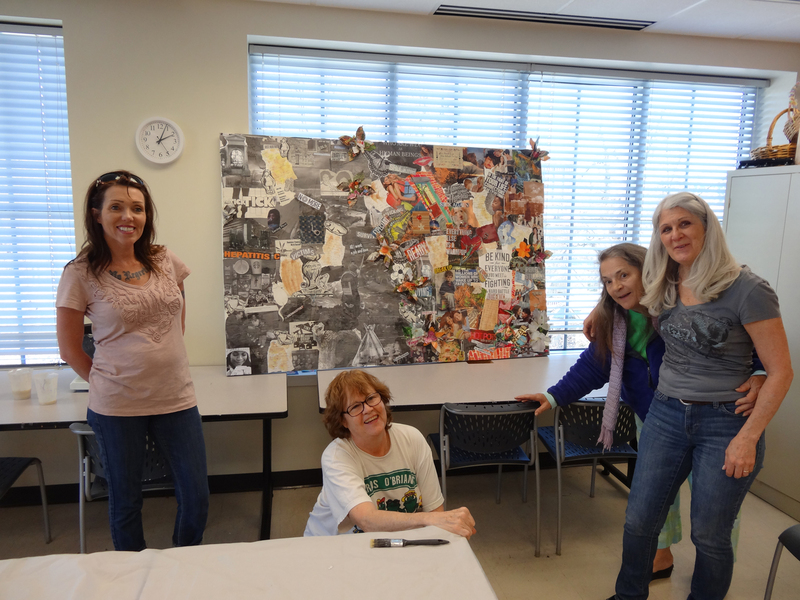 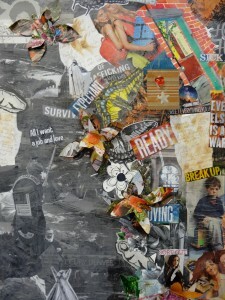 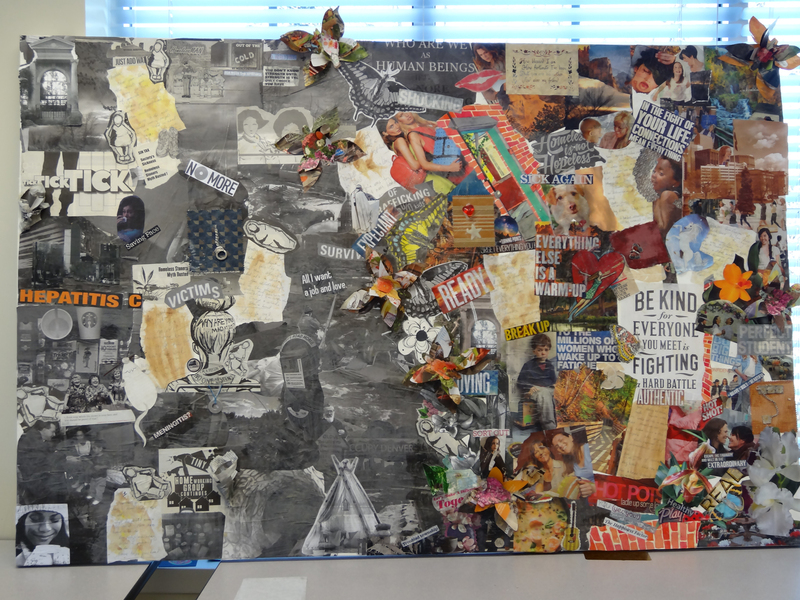 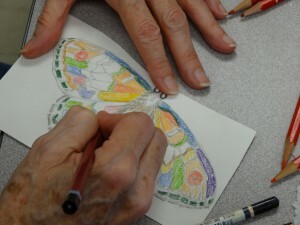 A group of women from the The Gathering Place, a homeless day center, created a 5’x8′ collage canvas expressing their journey from homelessness to freedom. We wheat pasted various images, text and photographs that resonated with their feelings and desires. 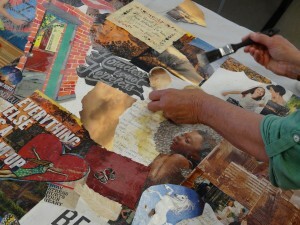 The canvas will be exhibited in the fall of 2015 at the Natural History Museum in Denver.